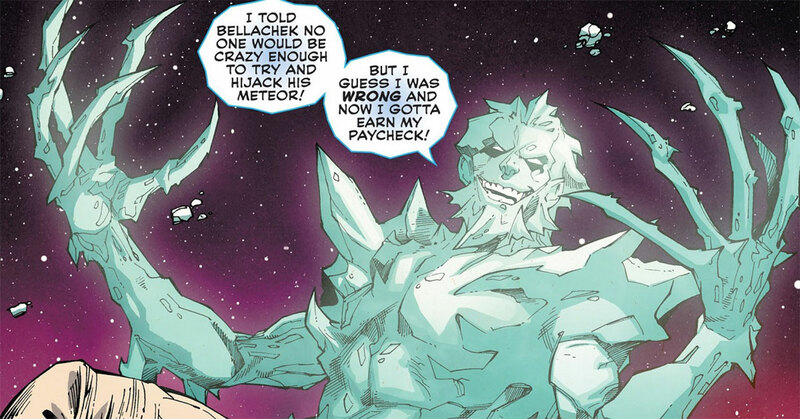 DC's first icy character was an enemy of the Golden Age Green Lantern back in the 1940s. Named Dr. Joar Mahkent, he appeared with a freeze gun of his own creation, and became one of GL's greatest foes. He also fought the Justice Society of America as a member of the Injustice Society. Alas, he died in the '80s during the reality-altering event known as the Crisis on Infinite Earths. 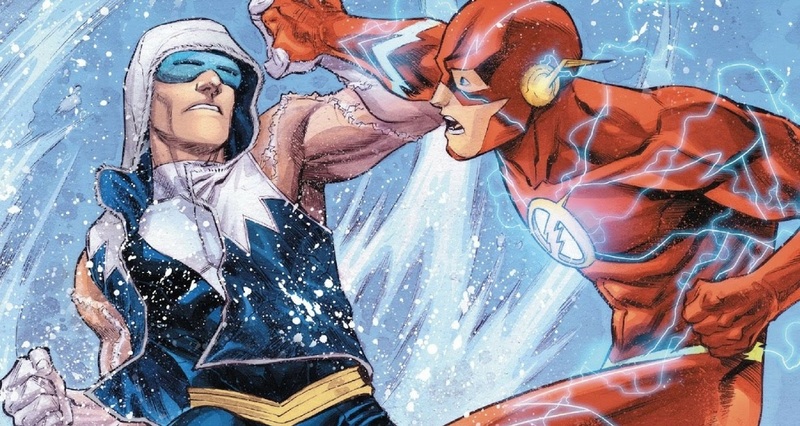 Captain Cold is one of the Flash's most famous rogues, and has walked on the edge between villain and hero. 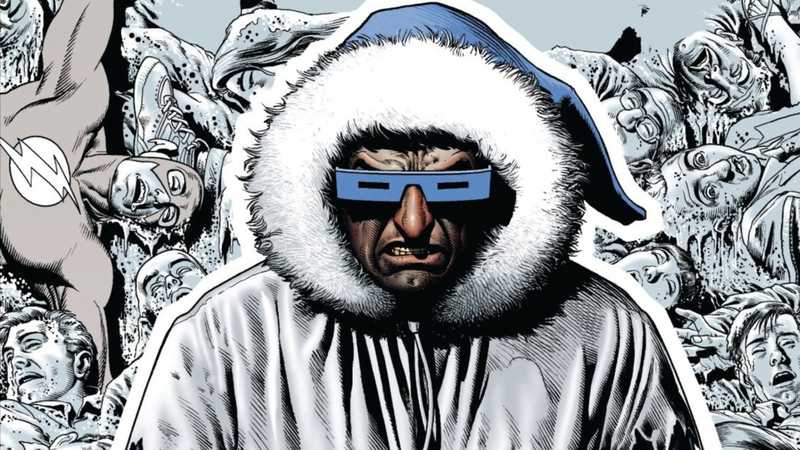 Originally introduced in 1957 (read Captain Cold's first appearance in Showcase #8 here), Leonard Snart was a low-rent thief, who read about a scientist's invention of a machine that can lower the temperature to absolute zero. Realizing this invention could be weaponized, Snart stole the technology and became Captain Cold, pitting his absolute zero freeze gun against the Flash's speed time and time again. Many fans consider Captain Cold the Flash's #1 villain, due in part to his status as a member of the Legion of Doom in the animated Super Friends TV show (watch Captain Cold's appearances in Challenge of the Super Friends here). Although he'd make a one-off appearance on the 1990-91 The Flash show (watch the episode "Captain Cold" here), he would gain his biggest popularity as a villain in today's The Flash TV series, as well as on Legends of Tomorrow, in which he died a hero. 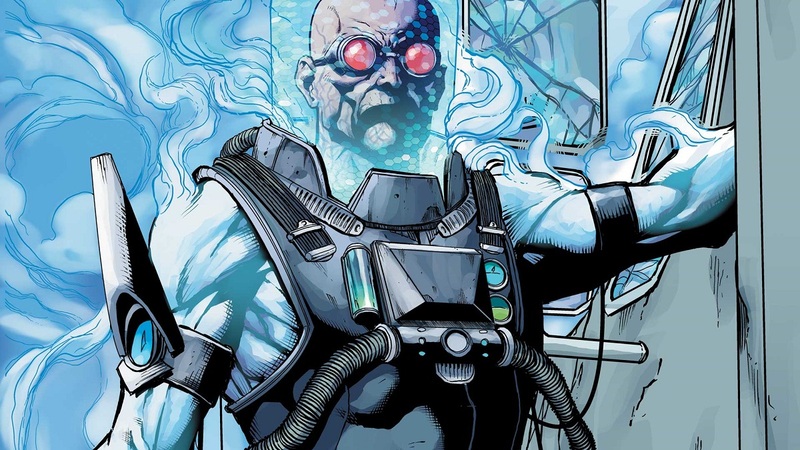 One of Batman's greatest foes is Mister Freeze. But it took him several decades to reach A-level status among the Dark Knight's rogue's gallery. He first appeared in 1959's Batman #121, and originally went by the name "Mr. Zero." In his original backstory, he was a criminal scientist who designed a lethal ice gun. But the gun backfired on him when the chemicals he needed to create it resulted in his need to live in constant subzero temperatures in order to survive. Actor Arnold Schwarzenegger famously portrayed Mr. Freeze in the 1997 film Batman & Robin, which utilized the character's Batman: The Animated Series origin story, albeit uttering every ice-related pun one could imagine. (Watch Batman & Robin here.) Other versions of Freeze would appear in later animated series like The Batman, Batman: Brave and the Bold, Young Justice, and Justice League Action. But the most beloved remains that which first appeared in Batman: The Animated Series. When the first Killer Frost died, her friend Dr. Louise Lincoln decided to recreate the experiment that created her, and became the second Killer Frost, vowing to avenge her fallen friend. 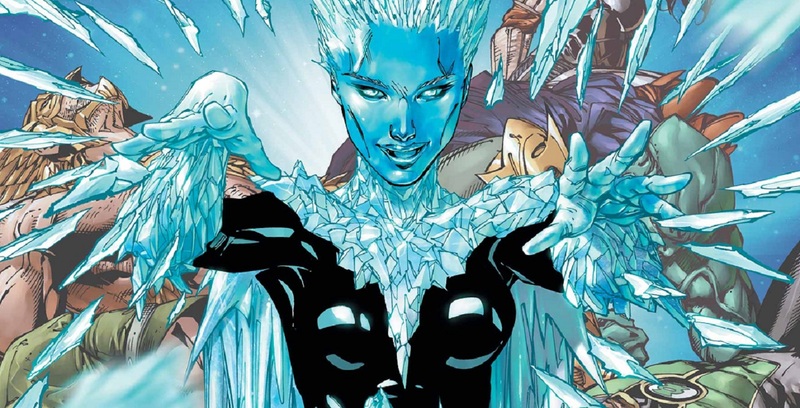 The third Killer Frost debuted in the New 52, and was named Dr. Caitlin Snow. She was a scientist working for S.T.A.R. Labs in the Arctic, where an accident merged her body with ice, forcing her to draw heat from anywhere around her in order to survive. Caitlin Snow became a far more popular character when she debuted as a S.T.A.R. Labs scientist on TV's current The Flash. Although it would take several seasons before Caitlin would go from do-gooder to ruthless ice villain (and occasional antihero), her icy alter ego was given a very different origin story, tied to the series' mythology. The character has also appeared in various animated shows like Justice League and Young Justice. Most recently, a nicer, less villainous version appears as part of DC Super-Hero Girls -- simply named "Frost." Not all the cold-powered characters in the DC universe are villains. 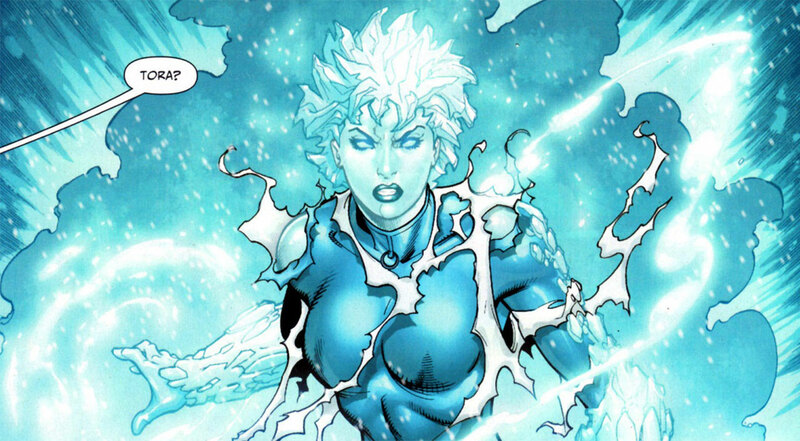 In fact, for a time a prominent member of the Justice League was the heroine Ice. Hailing from Norway, Tora Olafsdotter was the princess of a secretive tribe of magical beings who could control ice and snow. Tora begged her father to be allowed to visit the outside world, where she joined the Global Guardians as Icemaiden. Her teammate and best friend the Green Flame convinced her to quit the Guardians and try out for the Justice League with her as "Fire and Ice." Which DC ice character are you? Take our latest quiz and find out. Then let us know in our Community!